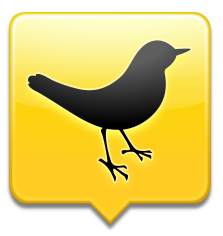 I know the subject of Twitter buying another company is not directly related to Android, but considering the importance of the social service in our day-to-day operations and the target of the rumor being TweetDeck, a crowd favorite when it comes to Twitter clients, I thought I'd give this one a mention. According to a report published today by The Wall Street Journal, Twitter is reportedly in talks to buy TweetDeck for $50 million. This comes after relatively recent news of UberMedia's $30 million bid in cash and stock. As we've seen, UberMedia and Twitter don't have the best rapport, so keeping TweetDeck out of UberMedia's hands may well be in the best interest of Twitter itself. Twitter, which made $45 million in 2010, is expected to make as much as $150 million in 2011, although The Wall Street Journal puts this figure somewhere closer to $100-110 million. Twitter's latest valuation currently stands at $10 billion, though that figure seems highly inflated to many. Either way, the company wouldn't have a big problem coming up with the money necessary to buy TweetDeck. Whether either company ends up snatching TweetDeck or not is unclear, but I'd much rather prefer it be Twitter than UberMedia. How about you?